The persuasive copywriting template is an actionable guide to create powerful copywriting. We unwittingly using principle of persuasive copywriting that it is audience oriented. Often, seller focus on the quality of their products. That is no problem if it related to need of the customer. This customer-oriented copywriting headline template is helpful. As a seller, our task is to sell. So we need so customer oriented copywriting that more persuasive. 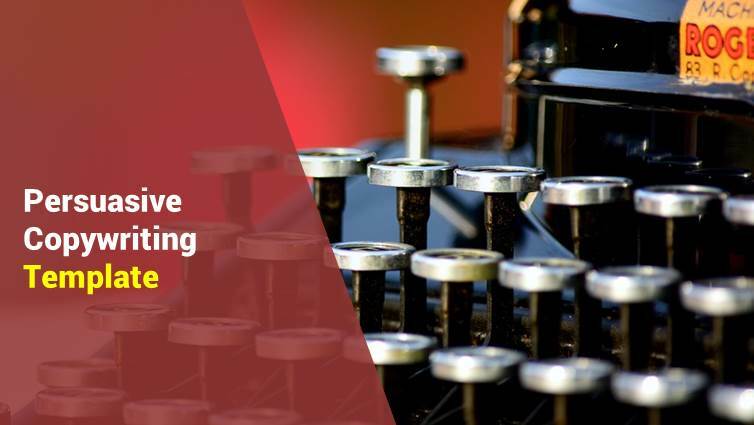 The template helps you create instant customer oriented copywriting. If you have much time, learn from copywriting book. So, in this article, we will show you about how to create advertisement word that sells by using template copywriting. It is an instant way. Look template carefully then apply it to your copywriting. It is match for facebook or twitter copywriting. How can [you product] make [your audience] easier? This template talks to audience need. Everyone wants to get their life easier. That is fascinating words because your market has a attention about their need, not about your need. Particularly need that related to their specific and most important. You can learn it from audience insight, see fanpage that they follow. Then you offer something that makes their life easier. The template talks about the solution for your market, not about how great you are. That is a temptation. Ups, persuasion. 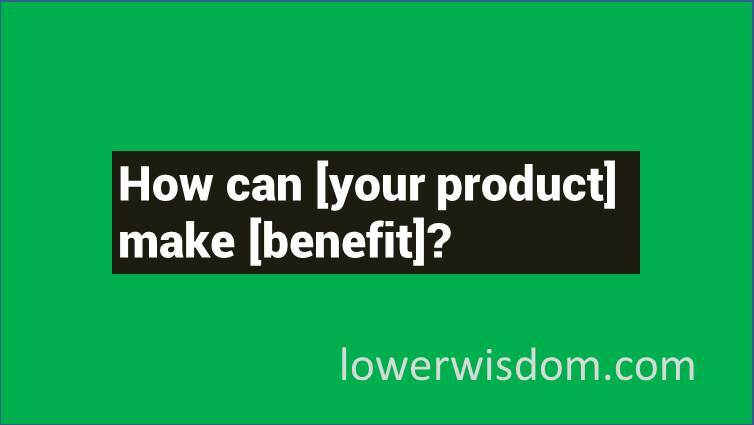 The persuasive word suggests an answer to their problem that products promise. If you decide market segment, think their activity and task. Then whatever that consume more time is their problem. Not also more time, but also more money and their energy. Except, if that is time for fun. The problem that they care is not the time for fun the night? That is their obstacle, that you can offer an answer to reduce their difficult problem. You can tweak the template that I show you and add the problem of the market segment and your solution. The first case, How can this dog snack make you nurture dog easier. Second, How can this software make you can do your accounting job easier. Sixth, how can this fishing rod make fishing easier? Eighth, How can this toy make your child smarter?. Conclusion, template help us to create good copywriting. If you feel that is not something new, you can modify the “easier” with another word. Example, happier, spend time on more important things. That is an example of Persuasive Copywriting Template. 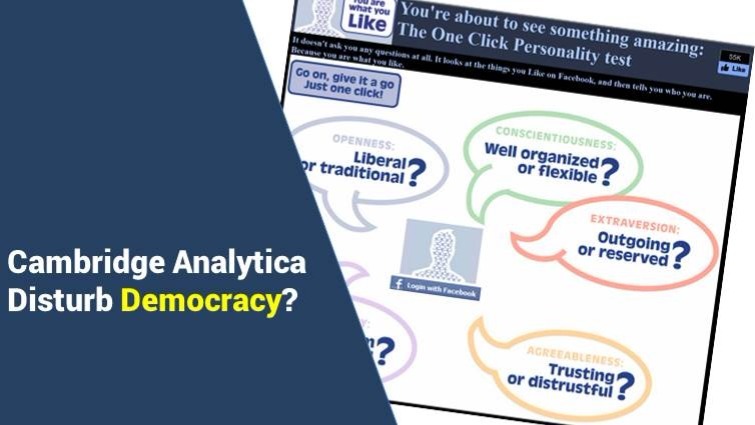 In the big data era, it is important to learn from Cambridge Analytica and democracy problem. Just because you can, doesn’t mean you should. The New York Times write controversial news on March 17, 2018, about Cambridge Analytica. The British political consulting firm uses 50 million Facebook users in 2014 for the campaign. Right-wing donors to the firm for Trump campaign. In firm perspective, that is data mining and data analytics. That has no moral problem. That is their job. Their job is to collect data and analysis. That is smart, good and get money. What is a problem? That is business. Cambridge analytic is not alone. So many companies, business, and politic firm create a data mining about demographic and psychographic then analyze the profiles and target the smallest market segment that they can service. That is marketing process. Then in politic, data help political parties to select most easy people to persuade. Don’t care about intellectual that difficult to persuade. Even though intellectual have a big concern about the public good. But in another perspective that confronts, that is wrong. They use personal data. People didn’t give permission to use. Somebody or institution can use personal data to create influence and persuasion. The problem is people can not control goal of the persuasion words, because they hide. Trump campaign using personal data to persuade and win. To collect information, Cambridge using personality quiz app. Then they get 50 million personal data from Facebook. Personality quiz app is like an academic tool to measure our personality. With the big data, the election is not about ideas contestation. The election is about targeting. Is big data disturb democracy? A political election is part of the democratic idea, that people free to choose a leader. Leader and participant ideas. In that procedure, freedom, justice, equality, and prosperity for all are created. With political targeting, is freedom, equality, and justice for all is created? Rich people with big data access will get more power. In the case of Cambridge analytica democracy in question. This template shows benefit for your targeted audience. That is captivating expressions because relevant benefit sells itself. Especially that is match with their dream and reduce their pain and their problem. It is better also, in social media advertising to efficient budget by the target for laser market. It decreases the cost of advertising, it is useful to address this advertising message to a laser targeted segment. Social media footprint audience profile based on geographic, demographic, interest, and behavior. It includes data that audience on social media didn’t tell or writing in form but automatically tracked because they use GPS, a motion of touchscreen on the handphone. In Facebook ads, you can take it in audience insight. Go here https://web.facebook.com/ads/audience_insights to get audience insight. In mass media advertising, we have the option to narrow a targeted market. The template talks about the solution. That is seduction. Persuasive word offers a solution and benefit that products promise if customer segment using products. To seduce them, identity benefit that most important for them. Research audience segment. Imagine their venture and task. Their pain and their happiness and hope. Then what is their difficult problem that painful and spends their energy? So, what is waste their time t? That is their difficulty, that you can suggest a solution to reduce their pain problem. You can tweak the template to suit your products and target segment. Second, How can this software make accountant do easier. Eighth, How can this toy make your children smarter. The critical point in the template is identified benefit that matter for them. If your benefit that you offer didnt match with their dream, they aren’t interested. We often need Copywriting Brief Template to create ads copy on social media, especially in Facebook ads. Audience attention is short, so we need to create strong, persuasive and short copywriting. As a sole marketer or business owner, our task is to sell our service or products. That is why we need so powerful brief copywriting that sell. If you have no budget and time to read the book or hire an advertising agency, I show you a solution for free. Tweak brief this copywriting for your product. So, in this essay, we will explain you about how to generate advertisement word that persuasive by utilizing template copywriting. This template copywriting guide you instantly perform advertising on social media. It is the Third list of template copywriting. See the earlier copywriting template article here. This template reveals your targeted audience problems and challenging task. That is why the template is powerful because relevant to their task. Every market segment have has a concern about their job. Especially job or task that has to do and make them worry. To minimize the cost of advertising, it is better to send these ads to a laser targeted market segment. Social media like Facebook, Linkedin, twitter, track aggregate audience profile based on geographic, demographic, interest, and behavior. It includes information that audience on Facebook didn’t tell but automatically tracked because they use GPS, and they control keyword and mouse on facebook. The copywriting short template talks about their job. Most important job and more urgent job, more persuasive. That is an influence. The powerful message suggests and promises a better situation if they consume the products that they offer. If you identify the market segment, visualize their obligation, role, activity, and task. Then what is their obstacle that they care and important for them? What is their reaction? So, what is spend their energy? That is their important job, that you can offer a better tool to help outsmart their performance. You can tweak the template brief copywriting to suit your commodities and target market. Your market is the accountant, Say, Calculate money smarter and faster. 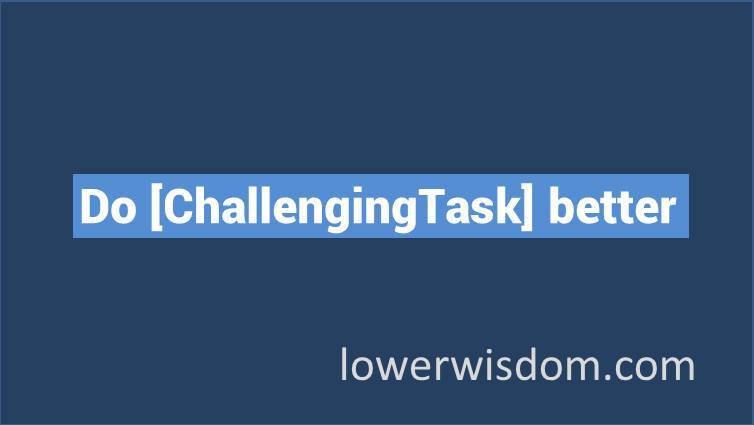 The template is powerful if you found the most relevant task and the most important job that most matter. Especially, they have the obstacle with that job. If not, your copy is not powerful.